The Memorandum will enable .establishment and promotion of closer and long-term, cooperation between the BRICS countries in the field of environment protection and management of natural resources. 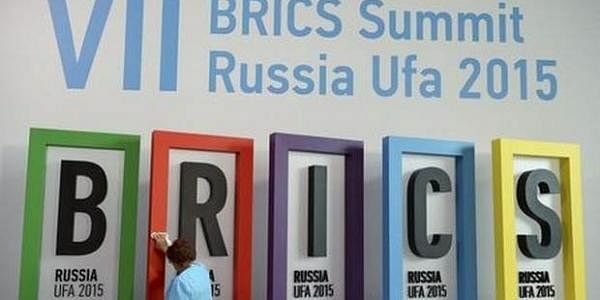 NEW DELHI: The Union Cabinet on Wednesday gave its ex-post facto approval for Memorandum of Understanding signed among the BRICS nations on Environmental Cooperation. The MoU was signed during the 10th BRICS Summit in July, 2018 in Johannesburg, South Africa. Briefing reporters on the Cabinet's decisions, Union Finance Minister Arun Jaitley said, ''It identifies the following stress of cooperation-- air quality, water, biodiversity, climate change, waste management, implementation of the 2030 Agenda for Sustainable Development and Sustainable Development Goals; and other areas of cooperation as mutually agreed upon by the participants. ''The Memorandum will enable establishment and promotion of closer and long-term, cooperation between the BRICS countries in the field of environment protection and management of natural resources on the basis of equity, reciprocity and mutual benefits, taking into account the applicable Jaws find legal provisions in each country. The concerns of rising environmental issues are not limited to any country but pose a serious challenge to the entire Globe. The MoU acknowledges the responsibility of the BRICS nations, an association of the five major economies of the world i.e. Brazil, Russia, India, China and South Africa comprising more than 40 per cent of the population of the world, towards the protection, preservation and sustainability of the environment. It is expected to bring in the latest technologies and best practices suited for bringing about better environment protection, better conservation, and better management of climate change and wildlife protection/conservation. The MoU shall facilitate the exchange of experiences, best practices and technical know-how through both public and private sectors among the participating BRICS nations and shall contribute to sustainable development, protection and preservation of Environment. It also provides for the possibility to have projects in areas of mutual interest.